So, your holiday break is over and your sun-kissed team has trudged their way back into the office. The vibe of your workplace feels off. Perhaps it is because they are carrying a little bit of holiday weight or perhaps they have strained their back from too much backyard cricket, or perhaps the reality that the breeziest part of the year is now coming to a close, has sunk in. There are many ways to re-motivate your team that doesn’t involve forcing a game of office charades at lunchtime. The sun is still shining, and there is so much fun to be had outside of the confines of your office. From after work drinks on a Friday to hosting minglers or seminars in function rooms, this is the perfect time to encourage your team to socialise and work as a team. We at the Grovedale Hotel have collated a list of ideas that can get your team excited and invested in their work the same way they are for their holidays by fostering an open, supportive and diverse workplace. With the beginning of the corporate world, came the need for knock-off drinks. Week after week we see an influx of workers with untucked shirts and beers bounce through our doors excited to start the weekend. Heels are traded for sneakers or sandals and the real networking begins. True friendships aren’t built behind a computer. While an office environment does encourage mingling and small talk, it’s important to give your team the push they need to build meaningful relationships. The Grovedale Hotel is a multi-room function centre, that offers an array of different social environments, activities and provides a much-needed opportunity to enjoy good food, drink and entertainment. Why limit yourselves to Friday night drinks? Our function room The Juke hosts different talented artists three nights a week. 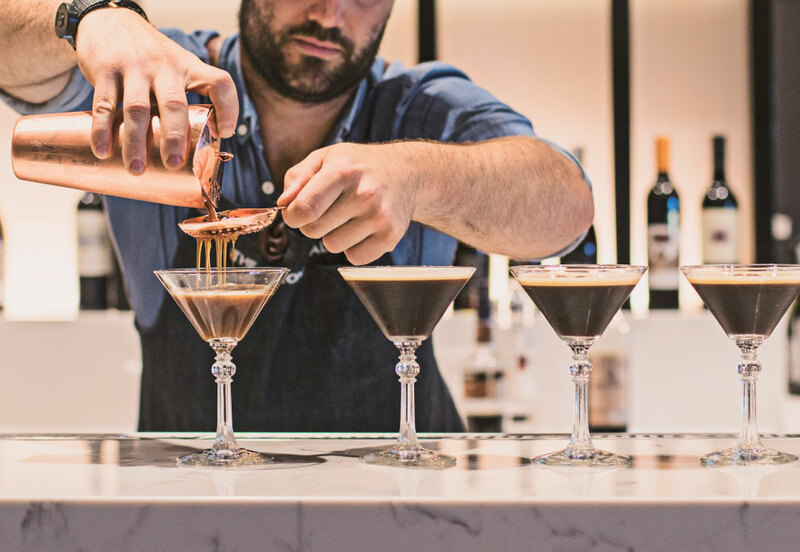 Boasting espresso martinis on tap, amazing burgers, and a sunny beer garden it is a one-stop shop for a great time. How’s that for a dynamic function room for an after-work hang out. What is one of the best ways to solidify a team? Add a healthy dose of competition. From the 22nd of January, you are cordially invited to join our weekly trivia nights. Create a superpower company team, or cause a ruckus by encouraging cross-department groups to form. This is not only a great way to socialise, but also a fantastic way to motivate your team to work together in a function venue outside of the office. It is important to demonstrate the level of commitment you have to your job and company that you would love your employees to share. For big meetings consider hiring a function room to create some diversity in your content-heavy seminars. The Grovedale Hotel is a function venue that sports diverse and unique function rooms. The Library is perfect for a private meeting or seminar, but also has the incredible dining options that are available at our gourmet restaurants. Although this may only be a quarterly option, it does provide your team with something to look forward to and will, in turn, increase productivity. Make 2019 the year your team not only loves their job but the person they sit next to. Head here to find out all of the exciting events happening at The Grovedale Hotel. To get a quote on one of our function rooms in Geelong submit an enquiry here.